This is where you can really save some money on your trip. Instead of eating at fancy restaurants that will burn a whole in your wallet, you can get some store brand food like sandwiches which will be half the price you will pay at a café or restaurant. Another option for you is ordering in using foodfindr.no where you can easily view the prices of things at the luxury of being in your hotel or hostel room. The currency that is used in Norway is the Norwegian Krone. So this means that if you are stopping along at Norway as part of your Europe trip, your Euros won’t do you any good. And the good news is that the Krone actually depreciated recently which means you can actually expect to save a little money than you expected. Also keep in mind that your credit cards will be good almost anywhere such as taxis and stalls. But in order to be safe it is best to keep a little Norwegian cash with you. Norway is one of the countries that experiences all the four seasons, and this is something that you should keep in mind when planning your trip. There will be some destinations that won’t be accessible during winter such as some hiking grounds. If you know what places you want to visit, and the things you want to do you should know what season is best for you. In Europe there are many cities where you have to be extra cautious of your belongings, especially as a tourist. Well any city in Norway is an extremely safe one such as Oslo, Bergen and the rest with their very low crime rates. So you can be at peace when travelling to Norway. Norwegian Air has recently begun to offer very cheap flights to Norway via Asia and the U.S. So before you book any flights make sure to look at all your options so you are getting the best price for your ticket. 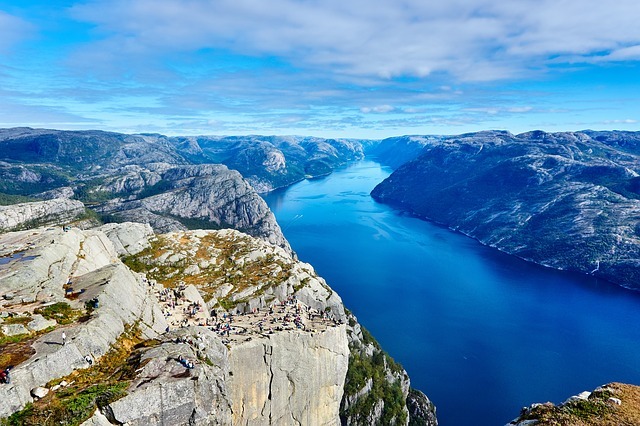 Since we already talked about how safe Norway is, if you are feeling adventurous and you don’t want to spend excessively on hotels or even hostels camping is a great option for you. Not only will it be a great new experience, but you will be saving a lot of money. All you will have to do is rent some camping equipment and you will be good to go!